My name is Grant! I have been making websites for almost 10 years and would love to use what I have learned to create your online presence! I specialize in making websites that are built to work and look great on mobile devices as well as the computer. According to a 2016 study, mobile devices make up 60% of the traffic to US based websites. This means that anyone looking to cater to the majority of people visiting their website need to ensure that their site is optimized for this ever-increasing mobile world. I build every one of my websites from scratch. Templates and content management systems have there place, but I want to build unique websites for unique businesses and causes. Every line of code is written and curated to specifically meet your needs. My aim is not just to build you a great website, but to help advance your cause. Leveraging my 10 years experience in retail sales as well as web and graphic design, it is my intention to help you succeed in anyway I can. This includes service I offer as well as utilizing my knowledge to make any relevant suggestions and recommendations. 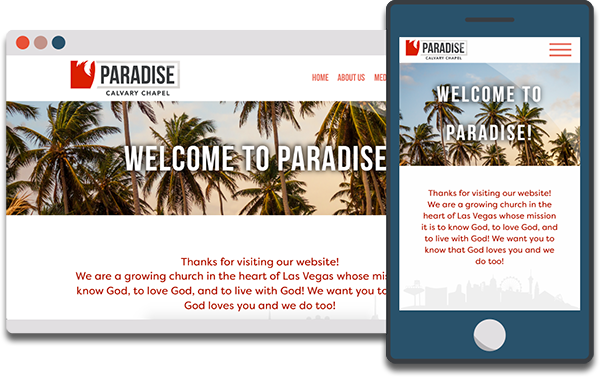 I serve at Paradise Calvary Chapel and was asked to take over management of the website. I rebuilt the website from the ground up and incorporated several different elements such as a blog for devotionals and podcast syndication. One of my favorite features of the website is the events feature which allows events to be loaded and then automatically displayed on the website without having to remove old events or worry about adding them in any specific order. 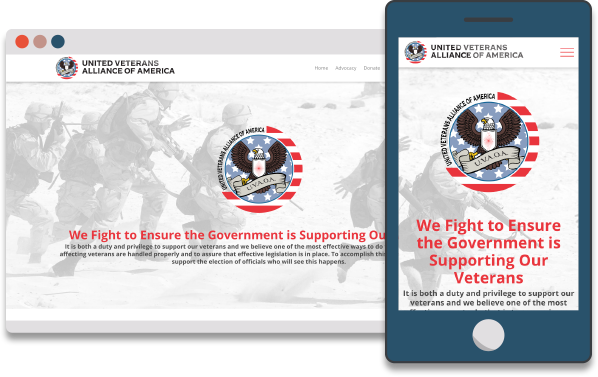 United Veterans Alliance of America is a super political action committee whose goal is to identify publicly elected officials that support legislation that will help and benefit American Veterans. This site came out very clean and I love the collection of resources assisting people to do things like register to vote. 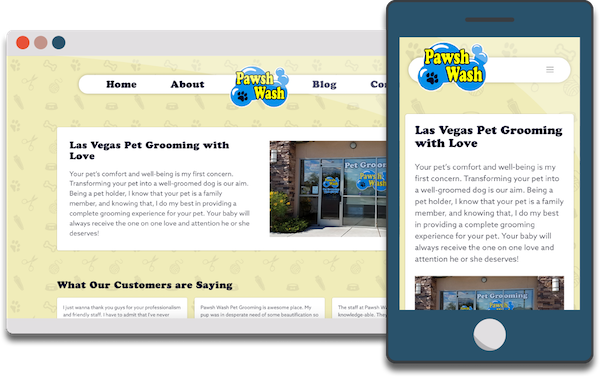 Pawsh Wash is a Las Vegas pet grooming business with an emphasis on love and caring for your pet. The goal for this website was to create an attractive website targeted at driving more business into the store. All of the copy is SEO optimized and a blog is being utilized to add new content that helps capture as many keywords as possible to attract more visitors. Magic Properties has several luxurious estates that can be rented nightly or seasonally. The goal of this site is to publicize these properties and provide a place for communication with customers. My favorite feature for this site is coming soon, but will be full integration of a booking process for online transaction processing. Pricing a website can be a tricky task. Just take a look around the web; there are many different websites and the complexities of these sites can vary drastically. 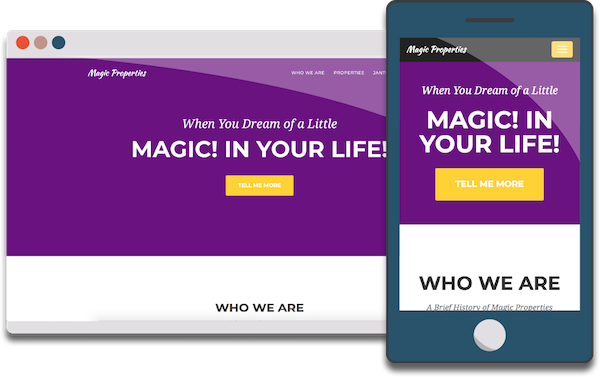 A simple landing page can cost as little as $200, but a more complex site can run into the thousands. Because of this, I offer free consultations where we can discuss all of your needs. Once I am clear on exactly what you are looking for, I can provide an accurate estimate of what creating your site will cost. If you are interested in having a website made or have questions about the process, please send me an email at grant@gravicdesign.com or simply click the button below. I would love to hear from you and discuss how I can help grow your cause or business!